hi! it's mid week and i hope that the week has been good for you so far! today i thought i will pop in here to share a layout i made as a gift to my cousin and cousin in law for their wedding. 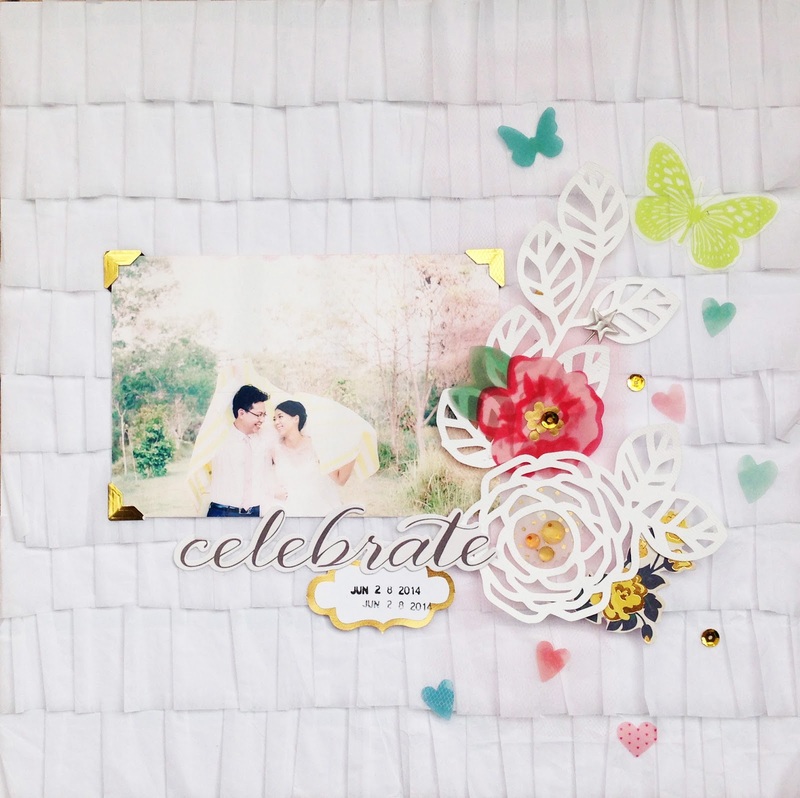 since its a wedding gift, i wanted to make a layout with a romantic and whimsical feel to it. so i thought of the ruffled crepe paper from dear lizzy - polka dot party collection . however, i am unable to find it in my local scrapbook store so i decided to make one myself using a piece of white card stock and sometissue paper. i first cut the tissue paper into strips then slowly adhered each piece to the card stock with my tape runner. i started from the bottom of the page and worked my way up. 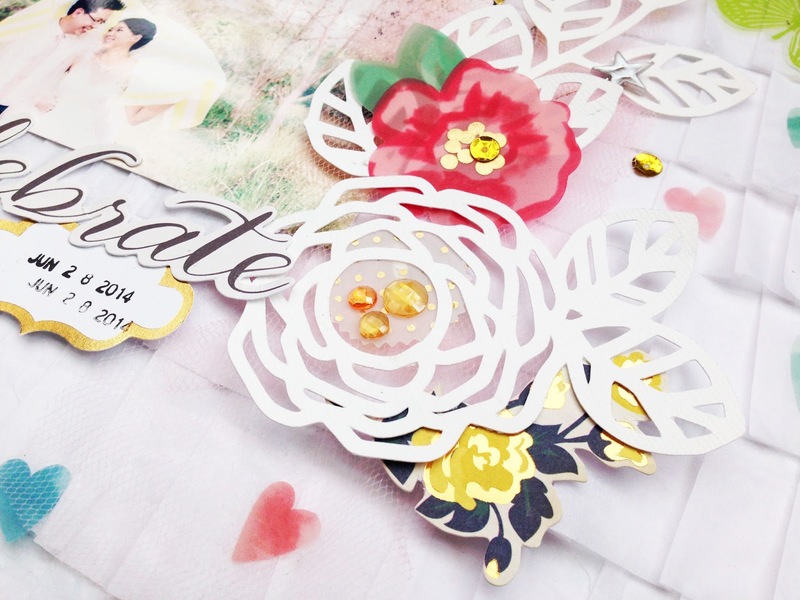 for this layout, i purchased some digital cut files from fresh cut illustrations and cut them with my silhouette cameo. 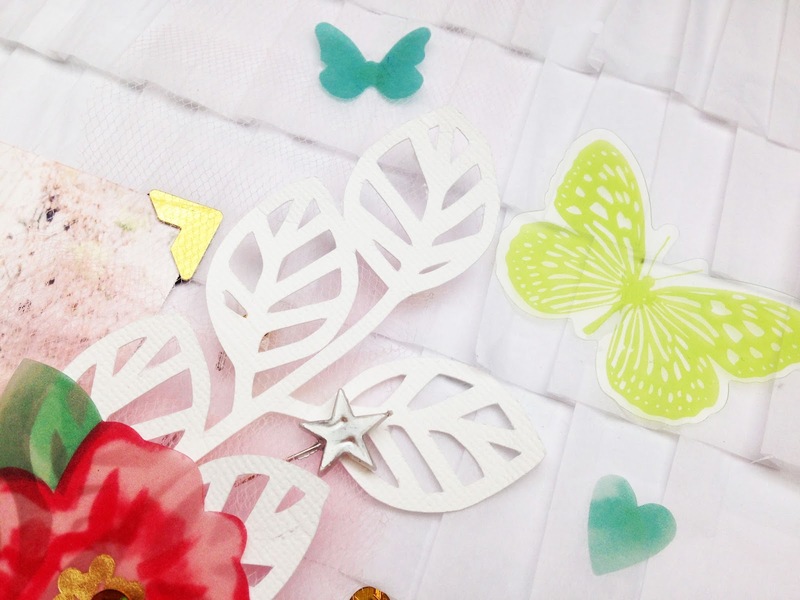 these lovely die cuts are designed by amazing talented kim steward and you can purchase them from wilna's shop iheartstudio. 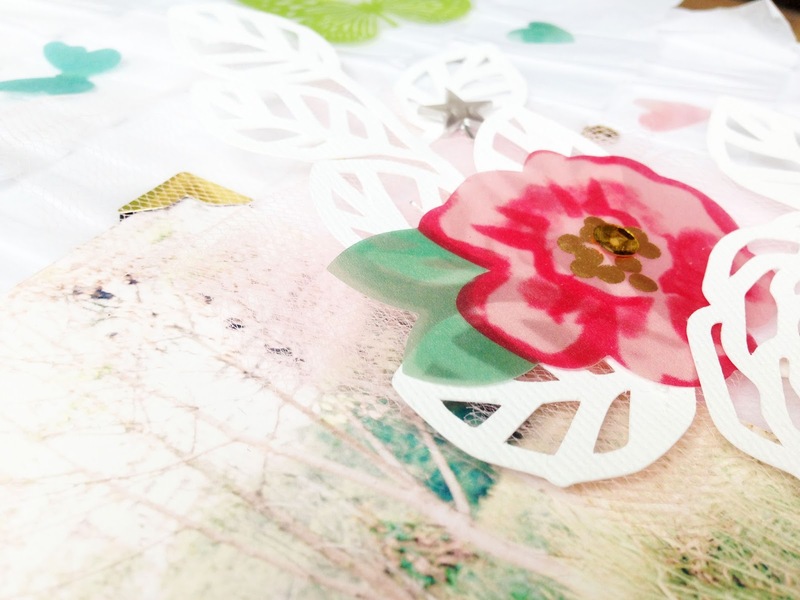 the rest of the page came together easily as i layered some pink tulle from my studio calico camelot kit, and some die cuts and vellum shapes from maggie holmes styleboard collection and other bits and pieces from my stash. 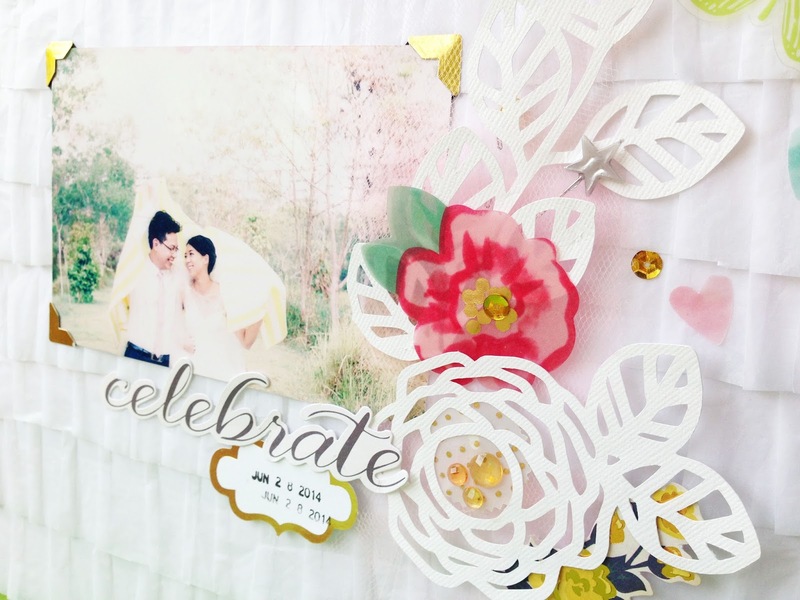 i'm glad that my cousins love this layout and here's wishing them a blissful and everlasting marriage! Thank you so much PrinzessinN! Thank you for dropping by!